Born in Syracuse, NY, he was the son of the late Helen Storms Markert and Stanley F. Frost. Stanley was a veteran of the Vietnam War. 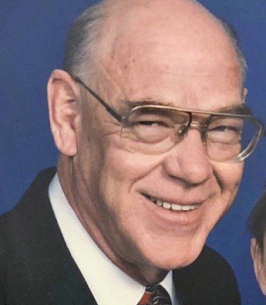 He worked as a traveling salesman in college retail and was the former owner of The Delaware Book Exchange in Newark, Delaware. Stanley was predeceased by his wife, Keitha. Stanley is survived by his daughter, Nadine Frost of Wilmington, DE; his sons, Steven Frost of Argyle, NY and Nelson Frost of Wilmington, DE; his grandchildren, Brandi Kerchevall, Hunter Frost, Haydon Frost, and Parker Frost; his great grandchildren, Ariana Vazquez and Emma Kerchevall; and his sister, Jeane Baglieri. A funeral service will be held on Saturday November 10th at 1 P.M. at the Fortune-Keough Funeral Home, 20 Church St, Saranac Lake, NY 12983. To send flowers to the family of Stanley F. Frost, please visit our Heartfelt Sympathies Store.